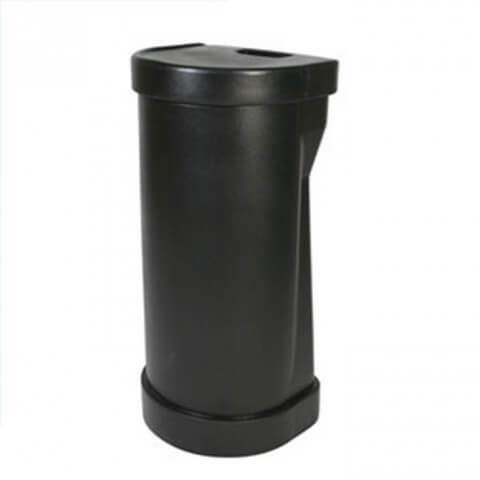 The 800mm case has two handles for easy carrying. 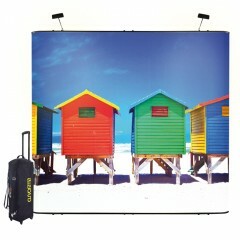 Although constructed like a pop-up case, the 800mm case is about half the size and much lighter and easier to manage. 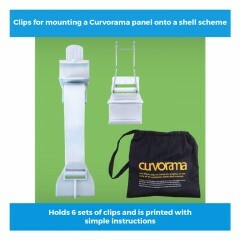 And because Curvorama is much more compact than a traditional pop-up a case half as big holds a display twice as large! 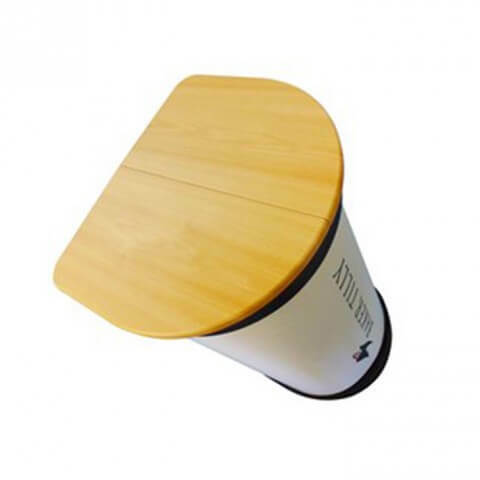 By adding a graphic wrap and a counter top the 800mm case can be converted to a useful counter. And the 800mm case has another trick up it’s sleeve. 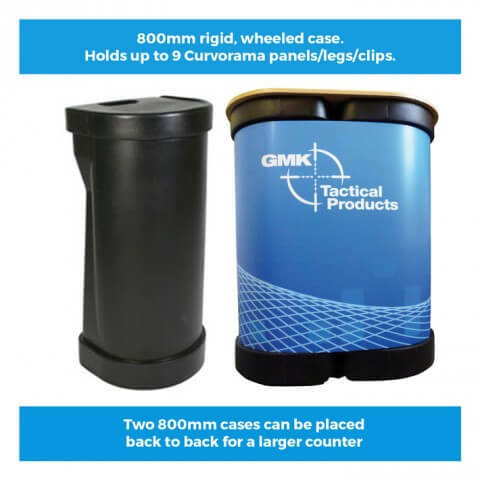 Put two back to back and a double-size counter can be made. 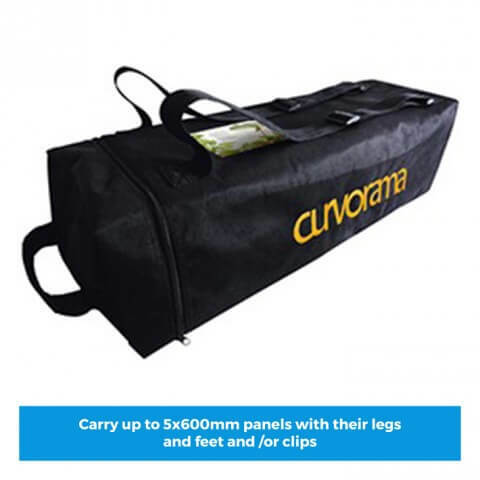 The 600mm case is a padded, wheeled case with a telescopic luggage handle and shoulder straps like a ruck sack. Small enough to fly hand luggage on some airlines it holds the equivalent of a standard pop-up. It also has a useful “graphic window” so you can instantly see what is inside. 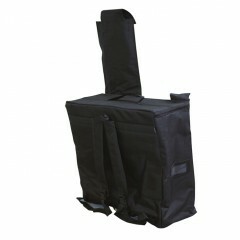 Like the 600mm case, the holdall is also made in super heavy duty nylon cloth. 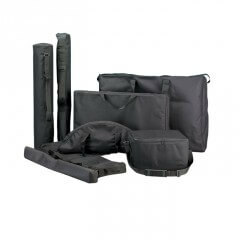 The holdall can be carried like a spurts bag or worn like a ruck sack. 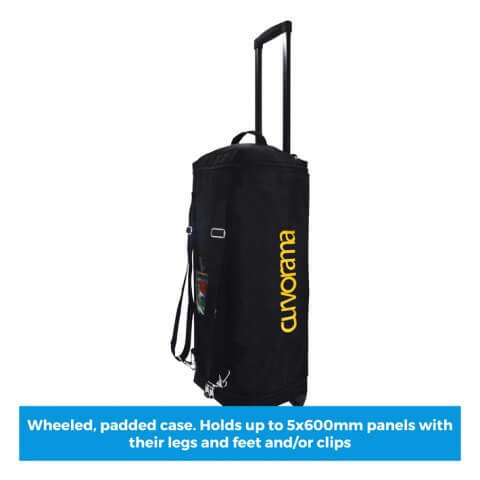 Weight of 800mm case: 5kg approx. £468.00 need help? contact us! £25.00 need help? contact us! £38.00 need help? contact us! © www.fresco.co.uk. All rights reserved.